Zwei: The Ilvard Insurrection gets a new character trailer focusing on Ragna who is thirsty for a big adventure. XSEED launched a new trailer for the Falcom developed action RPG Zwei: The Ilvard Insurrection, coming to PC-via Steam on October 31. The new trailer features the main character, Ragna, who suffered a terrible plane crash and was saved by the vampire princess Alwen du Moonbria. After being bitten and turned into her servant, Ragna is asked to recover her stolen magic as well as reclaim her seized castle. Strangely, Ragna, doesn’t need much convincing as he jumps at the chance to go on an adventure and help Alwen. Both characters are playable throughout the game, Alwen focuses on using more magic based attacks that can hurt enemies from afar. While Ragna gets up close and personal to go in for the melee attacks. The player must switch between characters in battle, a system found in the Ys series, in order to attack at enemy’s weak points. Additionally, Zwei: The Ilvard Insurrection features a level-up system based around food where players will gain experience by eating food instead of simply grinding in battles. Combining food and saving it will provide huge bonuses to the rewarded experience. In case you missed it, you can check out the character trailer for Alwen. 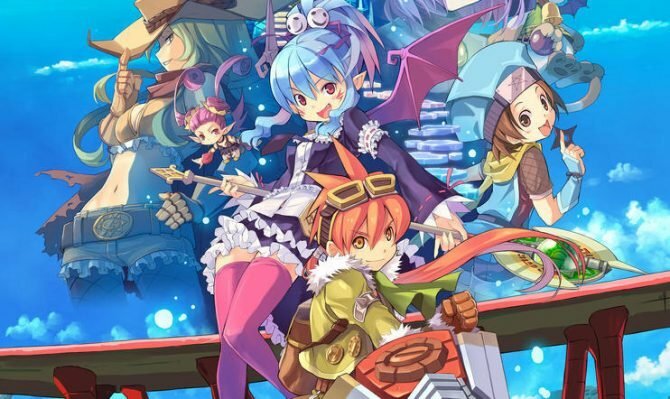 Zwei: The Ilvard Insurrection acts as an introduction to other Falcom titles and boast solid action RPG mechanics with a well balanced dungeon crawling system.